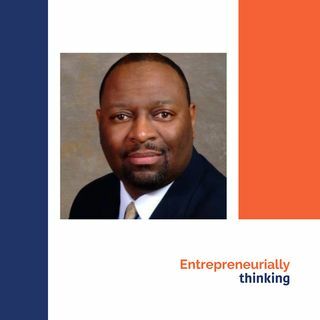 On this episode of #ETHINKSTL you will gain insights, wisdom and inspiration from the man who engaged our audience as our guest for our BioStL Inclusion Initiative, "An Evening With...". He launched his multi-million dollar, St. Louis-based pharmaceutical and medical service company from a stellar career in pharmaceutical sales...How could he? How did he? In the studio with us is Eric Bailey. He is the founder and CEO of EMED Medical Company. Bailey oversees the strategic ... See More direction of the St. Louis based multi-million dollar pharmaceutical and medical service company. With a national distribution presence, EMED is a viable provider of pharmaceuticals, medical products, managed care and specialty pharmacy services. Bailey founded EMED in January 1999. Before that, he worked in the pharmaceutical industry, serving in the areas of sales, national accounts management and products management. Bailey worked for several Fortune 500 companies such as Johnson and Johnson, Teva Pharmaceuticals, Roche Labs and Sun Pharma. Bailey currently serves on the Board of Directors of the Mid-States MSDC and has served as a member of t he MBEIC committee of the St. Louis Minority Business Council since 2008. He is the Chairman of the Training and Education sub-committee, a member Prince Hal l Masons. He also served as a Deacon Mt. Zion Missionary Baptist Church. Eric is a native of Fayetteville, Tennessee. Bailey earned a B.A. degree from the University of Memphis and is a recipient of Executive Curriculums Certificates from Tuck School of Business and St. Louis University. He is married with two children. He enjoys golf, cycling, hiking and current debate.